I took contraceptives doe. 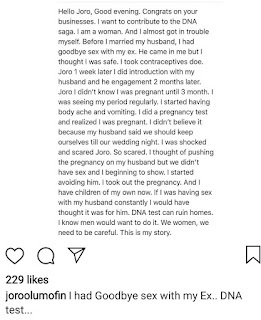 Joro 1 week later I did introduction with my husband and he engagement 2 months later. Joro I didn't know I was pregnant until 3 month. I was seeing my period regularly. I started having body ache and vomiting. I did a pregnancy test and realized I was pregnant. I didn't believe it because my husband said we should keep ourselves till our wedding night. I was shocked and scared Joro. So scared. 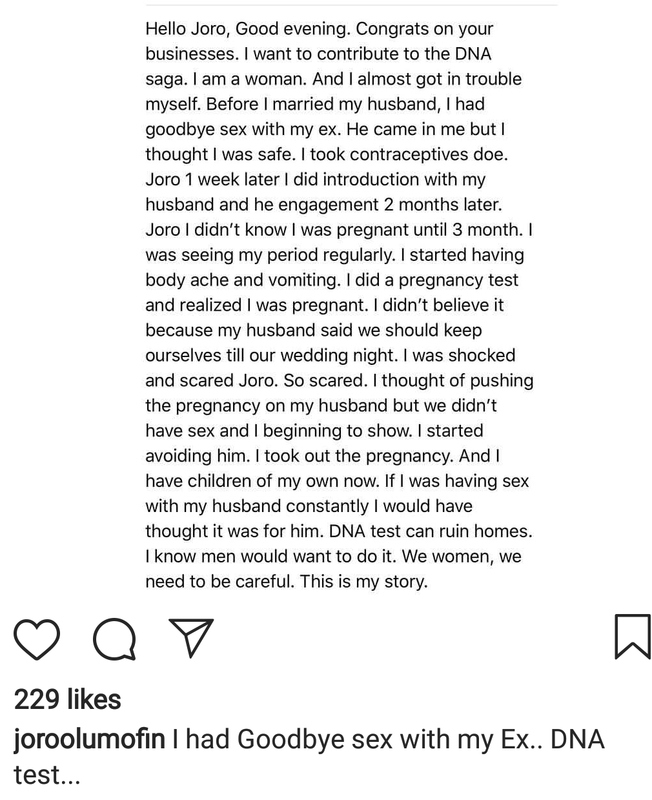 I thought of pushing the pregnancy on my husband but we didn't have s2x and I beginning to show. I started avoiding him. I took out the pregnancy. And I have children of my own now. If I was having s2x with my husband constantly I would have thought it was for him. DNA test can ruin homes. I know men would want to do it. We women, we need to be careful. This is my story.